22 November - the professional holiday of justice personnel established by the order of National Leader Haydar Aliyev, dated November 11, 2000, this year marks with the 100th anniversary of the Azerbaijani Justice and is celebrated with double pleasure by the judiciary. Judicial activities under the leadership of President Ilham Aliyev are being improved, accessibility of citizens to courts is facilitated, infrastructure is upgraded. On the eve of the 100th jubilee of the Azerbaijani Justice, a new modern building equipped with the latest technology for district court in Zagatala, contributed to the high level of organization of the activity in this area, to the increase of the effectiveness of the judiciary and to the protection of human rights. 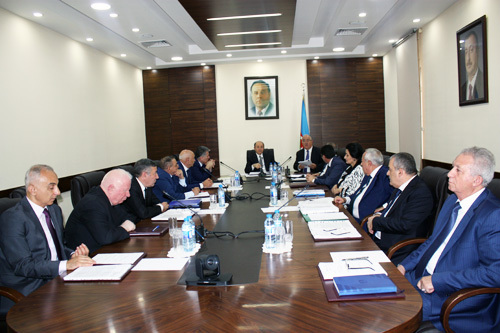 Justice Minister, Chairman of the Judicial-Legal Council Fikret Mammadov, who attended the opening ceremony of the new building, held a broad consultation with the chairmen and judges of the region in Shaki Appeal Court. Special attention is paid to the reception of citizens by the Ministry of Justice in accordance with the instructions of the President of the country Mr. Ilham Aliyev on the provision of decent services to the people, care and sensitivity of citizens appeals. On November 8, Minister of Justice, Chairman of the Judicial-Legal Council Fikret Mammadov held reception of citizens from Balakan, Zagatala and Gakh districts in Balakan district Cultural Center. Under the leadership of Mr. Ilham Aliyev, the President of the country, special attention is paid to the modernization of justice and judicial activities and facilitation of the population s access to justice within the framework of judicial reforms in the country, for this purpose, a modern infrastructure is being created. 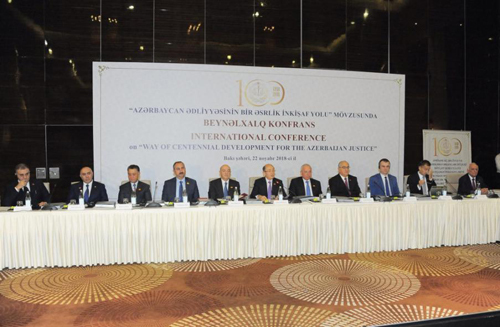 Particular attention is paid to the completeness of the judicial system through high-level judges and moral qualities within the framework of consistent measures led by Mr. Ilham Aliyev, President of the Republic of Azerbaijan, to increase the effectiveness of justice in our country. 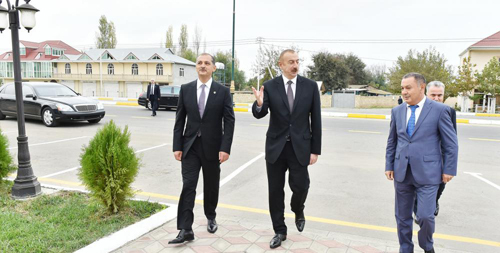 On October 22, President of the Republic of Azerbaijan Ilham Aliyev acquainted with the conditions created in the new building of Imishli District Court. The meeting of the Judicial-Legal Council was held. Speaking at the meeting, Fikrat Mammadov stressed that, reforms on the improving the effectiveness of justice in our country laid by national leader is developing under the leadership of President Ilham Aliyev. Referring to measures to increase the effectiveness of justice, noted the practical measures to improve legislation in this area, to implement a transparent selection of judges as an example in Europe, to facilitate opportunities for people to apply to courts, as well as to create "Electronic Court" information system and a new judicial infrastructure.